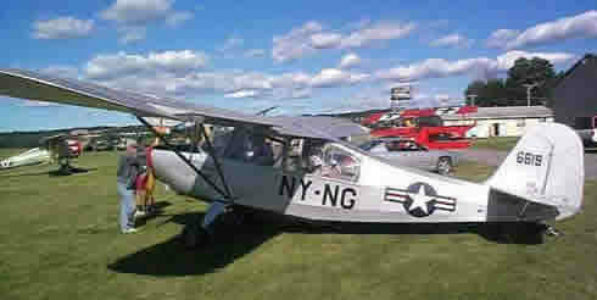 The L-16 started out its life as a Civilian 7-AC Champ, but while under ownership of 1941 Aircraft Group member Scott Smith, modification was started to turn it into an L-16A with greenhouse canopy windows and a New York National Guard paint scheme. In September 1996, Scott sold the plane to the members of the Aircraft Group and work on returning the plane to the air was begun in December 1996. 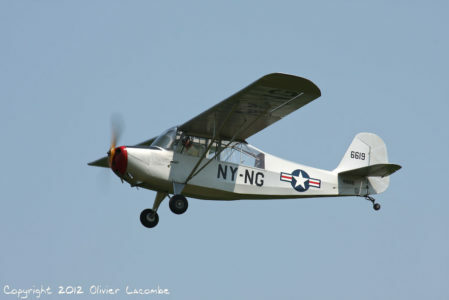 The L-16 took its maiden flight in July 2000 at the “History of Flight” airshow.